A few days back, the telecom giant Reliance Jio announced the three-month complimentary offer. If you are thinking to subscribe in order to get the complimentary offer benefit, then thee’s a sad news for you. As per the recent news and reports, Reliance Jio to withdraw its three-month complimentary offer. 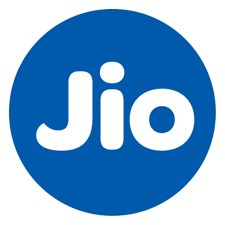 The company has said that it will withdraw the complimentary offer bonus in a few days, The Telecom Regulatory Authority of India (TRAi) has advised the Reliance Jio to withdraw its offer and the company has successfully accepted, Jio is in the process of withdrawing the offer. Hopefully, the offer will be withdrawn within a few days. In a statement, Reliance Jio said, It in the process of fully complying with the regulator’s advice, and will be withdrawing the three months complimentary benefits of Jio Summer Surprise as soon as operationally feasible, over the next few days”. Well, if you have already recharged your number with Rs 303 or higher plan to get the complimentary offer, don’t get panic. Jio said that all the customers who have subscribed to the offer before the discontinuation news will remain eligible for the offer. So, all those who have recharged their numbers are still eligible for the offer and will be able the enjoy the complimentary offer services. New customers who are going to recharge with Rs 303 or higher plan will not be considered as eligible for this offer. Do let us know whether you have subscribed to the complimentary offer or not in the comments section.